Make the public know you’re the right candidate for the job. 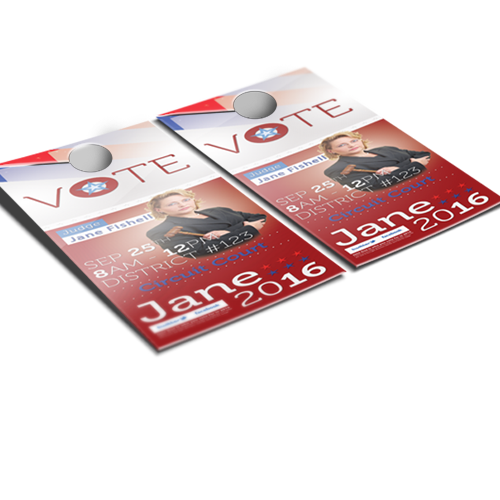 Win the vote- order Political Flyers today! Tell the masses about your campaign! 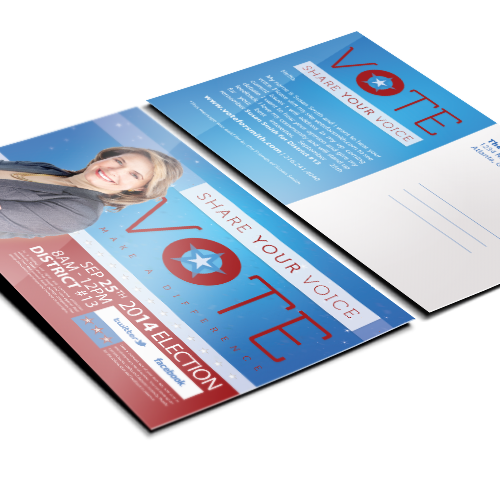 Small enough to fit in your pocket or purse, yet impactful enough to command attention, Political Flyers are a sure-fire way to spread the word! Quality you can see and feel. 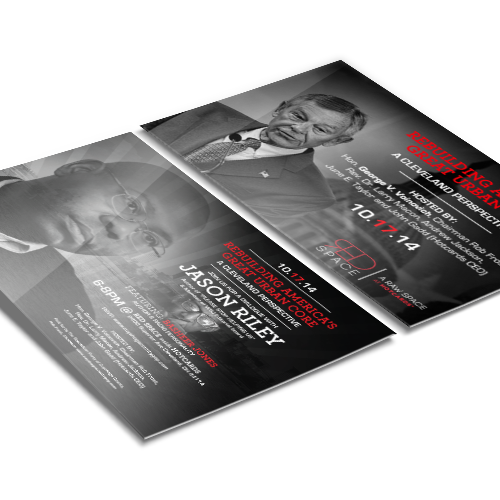 It’s all about quality when it comes to printing political campaign flyers.  Hotcards knows how to design and print super high quality flyers that give your reader an instant feeling of professionalism and confidence in your campaign – and ultimately persuade them to vote for you! Your campaign deserves gorgeous, full color, persuasive flyers. You’ve come to the right place! Add a political bug to your order to show you support labor and progress! The thicker your card stock, the tougher it is to keep it closed. Scoring your card stock pieces is the best way to prevent cracking on the fold – and keep ‘em closed! Adding perforation is a great way to offer coupons and reminders. Simply choose this option and we’ll contact you to define exactly where you want your order perforated. Political Postcards Make the public know you’re the right candidate for the job. 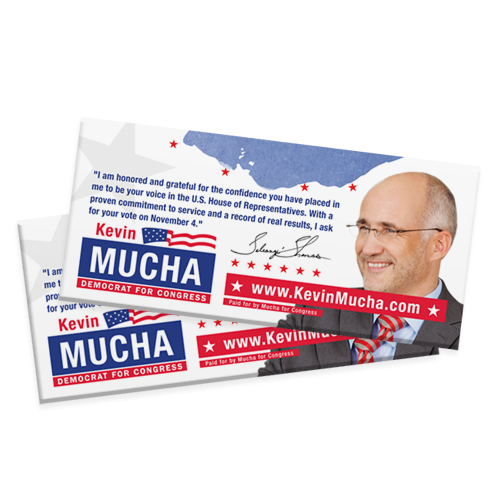 Political Push Cards Campaigning just got easier with our push cards. 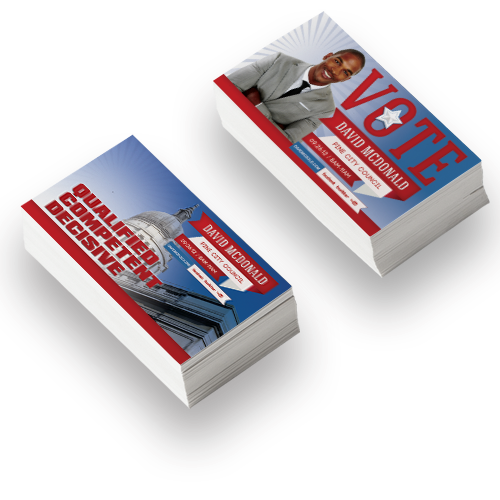 Political Campaign Palm Cards Campaign Palm Cards have the size and affordability of a business card. Political Door Hangers Door-to-door campaigning has never looked better with these door hangers.